How do you share your faith with your children with less baggage then you had? What is the role of the community and extended family in this process? 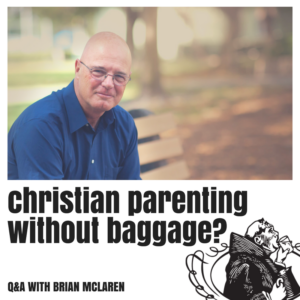 Brian and Tripp talk about figuring out a curriculum of love, the opportunities and challenges that comes with being a parent who wants to share their faith, and the problematic assumptions about Christian formation. Brain also mentions his recent book, The Great Spiritual Migration.